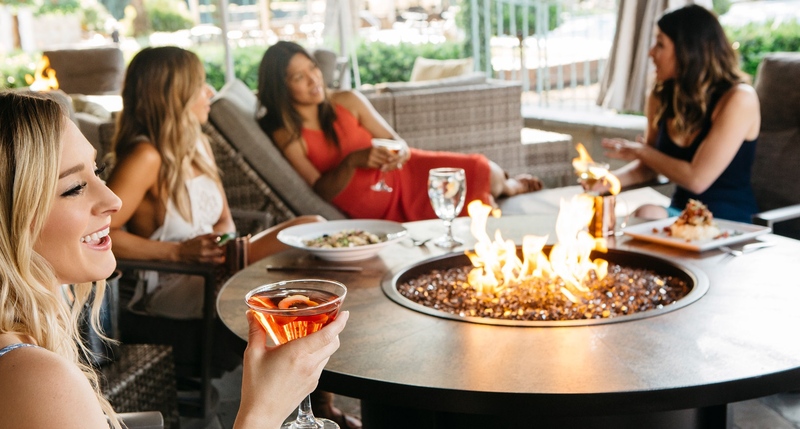 The full-Service Cabanas at Arden Hills are nestled in an outdoor oasis and are open year-round for Member enjoyment. 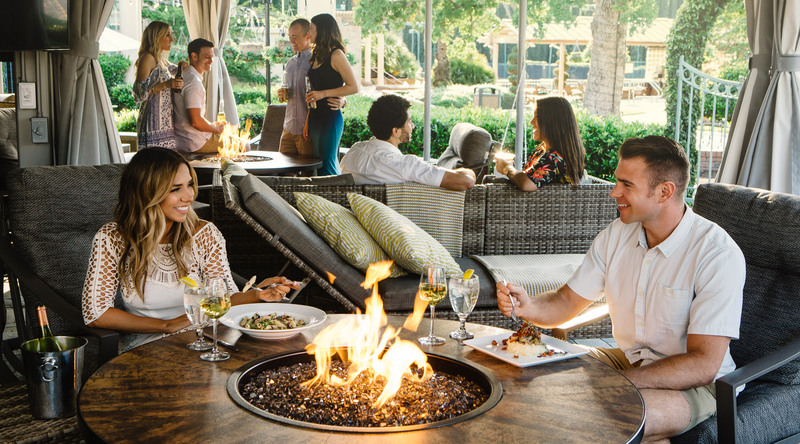 The Cabanas feature comfortable seating, fire pit tables, television, food/beverage services and a personal waiter. They are ideal for lounging with friends in the summer, small parties, or a central location for family gatherings. Reservation must be made 24-hours in advance for guaranteed service. Monday or Tuesday reservation is self-service only. A maxium of 8 people in each cabana. No outside food or drinks, except wine/champagne (corkage fee applies). When service is available there is no cost to reserving a Cabana, only a food and beverage minimum for your enjoyment. When service is not available, the cost of reserving a Cabana is a flat rate of $20 per hour.